* USB connection for compatibility with all modern laptops. * Compatible with all diagnostic-capable VW/Audi passenger cars from 1996 to currnet; K, K+L, dual-K, or CAN. * Detachable USB cable. 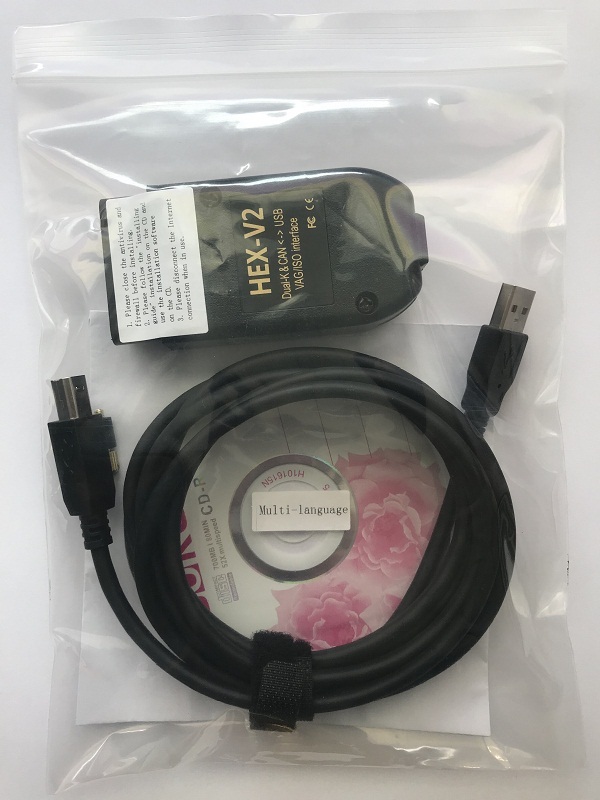 The supplied cable has a proprietary screw locking mechanism, but it can be replaced temporarily with with a standard USB-A to USB-B ("printer") cable should it become damaged. * Modern 32-bit micro-controller and fully updateable firmware. * 12 month guarantee against defects in workmanship or materials.